Carbide drill bits are typically made of tungsten carbide that is nickel based with a carbon coating. This type of drill bit has many applications, such as drilling into stone, metal and removing screws that will not come out of metal. Standard drill bits are not that strong and are made of a lesser quality material that can bend or break when drilling into hard materials. You can use a carbide drill bit by first finding a drill bit to use with your current drill. Choose the type of carbide drill bit that is needed for the project or application. Carbide drill bits come in many varieties, such as a standard twist bit or a hole saw. Open the drill chuck by turning it counter-clockwise. The chuck is the hard rubber end at the tip of the drill. Insert the drill bit into the chuck. Tighten the chuck by turning it clockwise. Once the chuck has been hand-tightened, hold on to the chuck with one hand and then press the trigger once to activate the drill. This will ensure that the chuck is tightened properly to secure the drill bit. Place the drill with the carbide drill bit against the surface that you need to drill. Hold the drill at a 90 degree angle or perpendicular to the work surface. Press the trigger on the drill and lightly apply pressure to allow the bit to dig into the material. 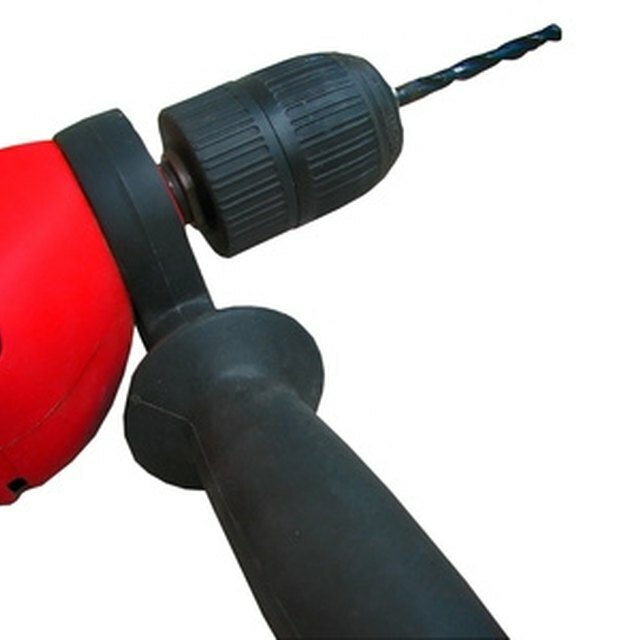 Spray water on the drill to dissipate the heat that is created from the drill bit drilling through the metal or stone. Carbide drill bits stay sharp longer than other types of drill bits. Improper drilling can damage or break the carbide drill bit.